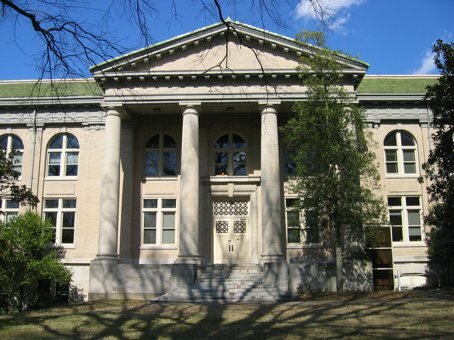 This is the West Duke Building, where the Parapsychology Lab was located when it was at Duke. It’s on the East Campus, what was then the Women’s Campus. I wonder if that was like shuffling it off to the side at the time? Imagine if your office was one of the ones with those lovely arched windows, though. Cats: Finney meows at whoever walks by. People talk babytalk back to him until they notice me sitting here working. Then they look sheepish (I smile). Gym: Next week we start free weights. My trainer warned me that the pounds are going to start going up, but that it’s JUST MUSCLE. Research: Something I’ve learned in life: Cops put as little as possible in writing. Scientists put EVERYTHING in writing. No matter how far along I am, I’ve decided, I’m going home in March. I’ve probably got enough for a dozen books at this point. I’m going to get as far as I get, go home, start writing, and if I’ve missed stuff I will hire a student here to copy it for me. TV: I miss my HDTV. My glorious glorious HDTV. I’m missing the Olympics in HDTV.